Connecticut Hockey League, LLC is not a USA Hockey Certified league. USA Hockey rules and regulations are used only as a guideline for league play. Each member of Connecticut Hockey League, LLC is required to carry personal medical and dental insurance. Video taping of CHL games is strictly prohibited. CHL, LLC is a private Adult Hockey league, independant of Rink/Arena Operations. Anyone attempting to video tape CHL activities will be asked to leave the arena immediately. This includes players and fans. At any time, League ownership reserves the right to remove any player from the ice, and disqualify play for the remainder of the session with no refund when the infraction is consistent with the guidelines stated below, and or injury to another player occurs as a result. CHL management or Referees are instructed to end the game at any time they deem the game to be out of control including when more than one instance of fighting or inappropriate action is occurring at any one time. In addition, after any serious injury the game will be called to insure proper medical attention to the injured player. In both cases the games are entered into standings that point. Players ages 16 or 17 yrs of age must have a waiver signed by a parent before taking the ice in every situation. Friends, captains, etc.., do not qualify to sign off on players under 18 yrs of age. Players 16 and 17 yrs of age must be in full equipment, including full cage. No one under 15 yrs of age is permitted to take the ice for any CHL game, tournament, practice, warm-up, event, etc., at any time. Beer or alcoholic beverages are never allowed on the bench or playing area at any time. Any player that brings alcoholic beverages of any kind to the bench or playing area will be immediately ejected and serve a minimum of 3 games suspension. CHL Staff, (Timekeepers and/or Referees), that bring any alcoholic beverage to the playing area, (bench, timekeeper box, penalty box etc), will be dismissed for the remainder the the session and potentially terminated from employment with the CHL. Suspended players are not allowed to come back to the bench after being ejected, or be on the bench during the time the suspension is being served. In addition, players ejected from a game cannot play in a later game, (in another tier or rink), and must sit for a 24 hour period. Teams with 5 or more different players suspended during one session are ineligible for playoffs. Begins Summer 2013. At any point if the goal differential becomes 10 goals or greater, the clock will run, with no stoppages for any reason for the duration of the game. If the goal differential comes back to within 9 goals at any point in the game, the clock will go back to stop time. There is no option for this 10 goal differential rule to be waived off by either or both captains. CWHL: The goal differential to begin a running clock is 7 goals or greater. Any team receiving a penalty, will result in a Face Off in their defensive end. Players serving an "Attempt to Injure" suspension will be unable to play in any tier or rink for the CHL during the duration of the suspension. All Major Penalties are subject to an Suspension of at least (1) to be served at that teams' next game. Anyone called for fighting will be ejected from the game and will receive a minimum 3 game suspension. At the discretion of league ownership, a player may receive a suspension for the remainder of the session or permanent removal from the league. Fighting will include any dropping of the gloves and/or stick. Fighting in the CHL is called if a player throws a punch, or when an altercation leads to another player being wrestled, or thrown to the ice, regardless if punches are thrown. Anyone called for checking will be ejected from the game. Any intentional hit to the head will result in a 5-minute major and a game ejection. An additional suspension or disqualification for the remainder of the session may also be assessed. Incidental high stick is a minor penalty. Anyone committing verbal abuse towards a referee, intentionally breaking sticks or personal equipment, threatening another player, and or damaging rink property will be immediately removed from the game. Based on the severity of the infraction, league ownership and Tier Commissioner, at the recommendation of the referee, may disqualify that player for the remainder of the season. Any action that put the safety of our members at risk will fall under this category and be called as such. In the CHL, a two-handed slash is illegal in all instances, even if it occurs to the opponents stick. Any Player receiving 5 minor penalties in the same game, will be immediately ejected and disqualified from that game and will receive an additional one game suspension to be served at the next game. If a player incurs two multiple penalty game suspensions in one session, they will be disqualified from play for the remainder of the session. Any player receiving two ejections, for any reason, within one Session will be disqualified from play for the remainder of that session with no refund. Anyone who receives 2 Suspensions in one session is not allowed to be ejected the following session. Any Player taking an ejection, ( for any reason), in a session following a (2) instance ejection session, will result in immediate Suspension from the current session. This player will be reviewed by league commissioner before returning to play. Players suspended from play in (2) consequent sessions will be reviewed by League Commissioner before returning to play. At the leagues discretion, any player receiving more than one session dismissal may be permanently removed from the league. Any game ejection is subject to further disciplinary action after review by League Management or tier commissioner. Any member that receives 2 game ejections in one session will be suspended from league play for the remainder of that session with no refund. Regular Season - A 3 minute overtime period will be held. If no winner is determined the game will result in a tie, with both teams getting one point. Playoffs - A 5 minute overtime and then a best of 3 shootout with unlimited sudden death rounds if not decided after the third shooter from each team. The shootout continues until a winner is determined. Once an entire roster is used, the opposing captain will have the option of returning to the first player used on his roster and sequence as such. * A player serving a minor penalty IS eligible to participate even if there is time remaining at the end of the game. Beginning the Fall Session 2017, Connecticut Hockey League has updated Rule #9, (jersey matching), as per the below requirements. CHL is not a pick-up league and requires that all players from all teams wear matching jerseys to participate. All teams must be in EXACT MATCHING jerseys. This includes Color of the jersey and Style and Color of Logos, and Numbers. In addition, any jersey without a number, with a duplicate number, or with a “tape” number is considered “NON- Matching”. Jersey color that is faded or darker because it may be old/new is in fact matching and not subject to #2. Also, there is no matching “SOCK” rule in the CHL. Any player that is not in a matching jersey per item #1 will be called for a 2:00 minor, (designated as “jersey violation”), by the referee, in agreement with the Off-Ice official. This penalty will be called when the player takes the ice and served at the next stoppage of play. This penalty can only be called one time for each player not in a matching jersey. There can be a maximum of (2) players put in the box at one time for this infraction. If more that 2 players are put on the ice in Non Matching jerseys, 2 players will immediately go in the penalty box, and additional players will be put in, (1-2 at a time), until a penalty has been served for each player. For example, if a team has 4 players in non-matching jerseys, and they put all 4 players on the ice at one time, they will serve 5 on 3 shorthanded back to back. This includes ALL CHL Tiers, in ALL RINKS. The rule is simple, and the referees and Off –Ice Officials do not wish to get into an argument each time the penalty is called. Players that argue and delay the game as a result of the penalty being called will be immediately be issued a 10-minute misconduct. Continuation of delaying the game may result in a game misconduct with additional game suspension. Look at your jersey, if it doesn’t match the rest of the team you are going in the box for 2 minutes. It’s not complicated and it is not the referee’s fault. When there is the instance of team jerseys conflicting, eg. Both being dark, the team that is the lower seed must replace their jersey with non-conflicting jerseys. In this case, all jersey requirements are NOT in effect, for the team that changed as well as the team that is wearing their standard jerseys. To clarify, the team that has changed cannot call a penalty on the team that did not and vice versa. In addition, Sub Goalies are not subject to the jersey rule. Each team will designate a permanent goalie at the beginning of each session, and they are required to be in a matching jersey. If that goalie is not available, it is recommended that the sub goalie be in matching jersey, but it is not required and will not be called as a jersey violation. The league does not want to discourage substitute goalies from playing and have teams on the ice without one. If a permanent goalie is non-matching, a player from the ice at the start of the game will serve the penalty. If there is a conflict between two teams wearing similar jersey, the higher seed is able to ask the other team to change jerseys or wear pinnies when available. All teams are asked to have a light and dark jersey at all times. Referees will be calling offside, and Hybird Icing. There will be no two-line infraction called. Face offs will result in the appropriate zones. Each team will be permitted one 30 second time out per game. Taunting of another player will not be tolerated. Any player that taunts another player will immediately receive an unsportsmanlike conduct penalty. Taunting includes, but is not limited to, making offensive slurs towards another player and/or inciting a player to fight. Any player that receives a second taunting penalty in the same game will receive a game misconduct penalty and will be ejected and have to serve a (1) game suspension for the next game. Any player that threatens a referee ( in any manner) will be ejected and serve an immediate 5 game suspension. This can be issued by League Management, League Supervisor, On Ice referees, or game timekeeper. A Major Penalty plus a Game Misconduct, (Minimum 3 games and up to 5 games at the discretion of referee), shall be imposed on any player who shall place his stick, foot, arm, hand or elbow, or extends the leg (Leg Checking) from the front or from behind, in such a manner that it shall cause his opponent to trip or fall. In the CHL, a Slew foot violation falls into the same category as Attempt to Injure due to the severity and likelihood of injury as a result. Composition of Teams - The typical allotted time for all players to take the ice and have 5 skaters PLUS a goalie ( 6 total) or at least 6 skaters, is 5 minutes after the start time of the game (allowing the short team to take a time out to delay the arrival of an additional players). Any time either or both teams do not have 5 skaters plus a goalie, or at least 6 skaters, the game is to be ruled a Forfeit with the 1-0 win going to the team with enough skaters. Referees are not obligated to stay after a Forfeit is called. 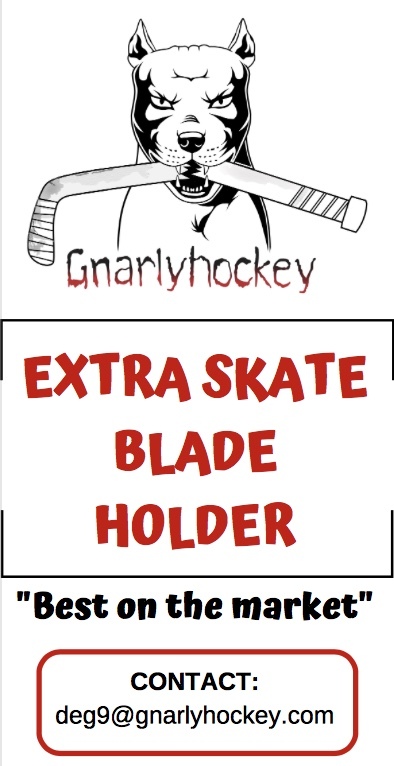 Rule 63.2 (Delaying the game) states:A minor penalty for delay of game shall be imposed on any player who deliberately shoots or bats (using his hand or his stick) the puck outside the playing area (from anywhere on the ice surface) during the play or after a stoppage of play. When any player, with both of his skates inside his defending zone, shoots or bats (using his hand or his stick) the puck directly (non-deflected) out of the playing surface, except where there is no glass, a penalty shall be assessed for delaying the game. When the puck is shot into the players’ bench, the penalty will not apply. When the puck is shot over the glass ‘behind’ the players’ bench, the penalty will be assessed. When the puck goes out of the playing area directly off a face-off, no penalty shall be assessed. Any team that forfeits 20% or more of the total number of games will be immediately dismissed for that session with no refund. The remaining games will go in as 1-0 victories for opposing teams. In a 15 games session, this occurs after the 3rd forfeit, in a 12 game session - after the 3rd forfeit, and in a 10 game session - 2nd forfeit. In the event of a Tie, the following is the order to determine the Tie Breaker within the Tier Standings. All seedings are based on Points earned. Teams with the same number of points will be subject (in order) to the following factors to determine advancement. 1. Overall record vs the teams tied. 2. Overall record vs top 4 teams. 3. Goal Differential in games played between tied teams. 4. Goal Differential in games vs top 4 teams.